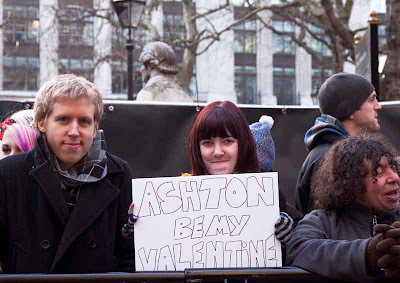 Fans queued in sub-zero temperatures in Leicester Square for the premiere of "Valentines Day" with the star studded cast including Ashton Kucher who plays opposite Jessica Alba. Nice. Did you get to met the cast?